The move will help ease crowding in the LASP Space Technology Building (LSTB), located across the street from the new location. LASP currently has 500 employees—a mix of both students and professionals. Most of these staff members reside in the LSTB, a building that comfortably housed 348 occupants when it was completed in 2006. By moving just under 100 employees to the new location, LSTB will still be over its intended capacity, but fewer employees will be doubled and tripled into single-occupancy offices. The move will also allow approximately 50 LASP personnel located in the Duane Physics building on main campus to join their colleagues on the CU Research campus, enabling more ready collaboration and creating a more cohesive environment for students and professional staff. The new LASP location, in the newly designated Space Science Building (SPSC), was formerly occupied by Sybase. All told, LASP gains 31,000 square feet with the move. The facility will primarily house research scientists and outreach staff, along with some data systems and administrative staff. In addition to office space, the facilities will include several large conference rooms. LASP employees in the Engineering, Administration, and Mission Operations & Data Systems Divisions will remain in nearby LSTB, enjoying less crowding and much-needed expanded laboratory space. The Atmospheric and Planetary Sciences Department and the Physics Department benefit from this move, with expanded access to approximately 20,000 square feet of high-value space on main campus. 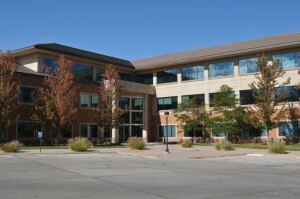 The move also helps address one of CU’s larger goals: the development and expansion of the CU Research Park. While LASP currently will occupy only the first and second floors of DIDR, the third floor may become the headquarters for the National Solar Observatory (NSO). CU recently won the bid to be the new host for NSO headquarters.